Putting your faith in a festival on its first year can be a risky business. With so much choice already out there in the summer festival market, especially with festivals on the European mainland becoming an increasingly more attractive prospect year on year to young dance music fans, the prospect of spending another weekend in the UK can also seem a little dull to many seeking the full festival experience. 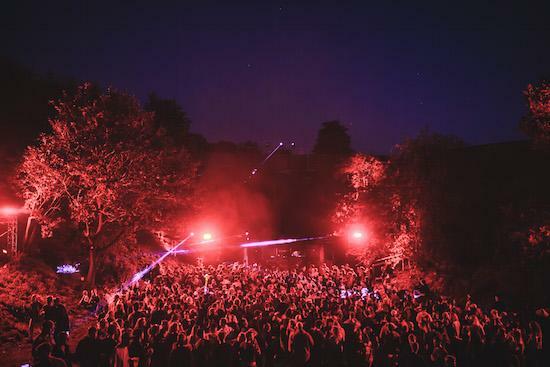 That said, 7,500 people went ahead and placed their trust in the team behind Wales’ Gottwood Festival to deliver on a brand new event last week in the form of Houghton, a four-day festival situated on the grounds of Houghton Hall in Norfolk. It’s fair to say though that they won’t have gone home disappointed, with the weekend leaving me in little doubt that I’d just experienced a new benchmark for UK festivals, specifically those geared towards fans of a certain kind of electronic music. Teaming up with longtime fabric resident Craig Richards, who acted as a curator and the main face for the festival, the team pulled together a weekend that was about far more than its line-up, though that wasn’t too shabby itself either, with the likes of Ricardo Villlalobos, Andrew Weatherall, Margaret Dygas, Ben UFO, Joy Orbison, Hunee and many more featuring, the line-up balancing the more obvious ticket sellers on the regular electronic music festival circuit with names that don’t crop up on quite as many of the bigger UK festivals’ line-ups - take Nicolas Lutz, Convextion, Sonja Moonear, Binh and Romanian pairing Raresh and Rhadoo. Richards, who clocked up around 20 hours of playing time over the weekend, in the form of multiple solo sets as well as back-to-backs with Ricardo Villalobos and Nicolas Lutz, could be seen around the site through the weekend taking in sets from other DJs and live acts - it was hard to believe that he’d slept a wink all weekend. Mostly that suspicion will be down to one of the vital elements, amongst a number of factors, that confirmed Houghton’s standing as the UK’s best new festival, that being their ability to secure a 24-hour license, something that is relatively unheard of at a UK festival. This meant that the music across various parts of the site didn’t finish between Friday morning and the very early hours of Monday morning. The soundsystems, so frequently a point of complaint for those at electronic music festivals in the UK, impressed through the weekend too, save for a dip on Sunday night during Hunee’s closing set at The Quarry - a disappointment no doubt, but also perhaps a small price to pay for just how smoothly the rest of the weekend ran, as well as one of the most generous licenses doled out to a UK festival in recent memory. A notably friendly crowd as well as a security presence that didn’t once seem overbearing over the course of the festival’s four days gave Houghton a rare sense of unworldliness that left me feeling completely refreshed by the event’s end. Empty references to hedonism, as well as the values of peace, love, unity and respect, in dance music and clubbing are all too common today, but looking back over my weekend at Houghton, I can sincerely say that I experienced something very special, and feel blessed to have been one of the first to be a part of it. 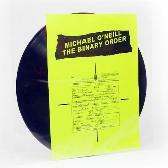 One of the main selling points for Houghton in the build-up to the festival was its promise of extended sets given to the wealth of DJ talent booked to play - something that was essential in order to fully take in the style of music played by people such as Margaret Dygas, Nicolas Lutz, Binh and Ricardo Villalobos. In an age of festivals packing their line-ups to the brim, as well as the growing popularity of ‘event clubbing’ from promoters like The Warehouse Project, meaning that DJs frequently play sets of little more than 90 minutes, Houghton offered something different. 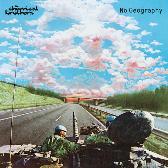 Just a few days before the festival came around though, Houghton revealed exactly how they would be accommodating these plans, having procured a 24-hour license which would see the music roll endlessly at the festival site for just under three full, consecutive days. This wasn’t without its challenges of course. Planning sleep breaks was made very difficult as a result, something I learnt the hard way after an intended nap turned into an extended sleep and a missed set by Binh. While not all of the festival’s stages ran without a break, there was always plenty to see or do on site across those days. Ben UFO rolled through a four-hour set at The Quarry to see of Friday night, his slot allowing him to shift between UK garage, smooth ‘90s tech-house and wigged out, Phillip Glass-sampling minimal from Ricardo Villalobos, the extended slot giving him more room to bridge the gap between disparate sounds than he would at most festivals. Romanians Raresh and Rhadoo rolled through around nine hours of classy minimal and house on another side of the site, at The Warehouse, getting started when Ben UFO was an hour into his set at The Quarry and eventually wrapping up sometime around midday. Nicolas Lutz, one of the weekend’s sure highlights, brought his trademark sound of electro-oriented minimal and breaks to The Pavilion stage on Saturday night playing for four hours at nightfall and setting the stage suitably for one of the weekend’s most anticipated sets following him: Craig Richards and Ricardo Villalobos’ eight-hour back-to-back. Starting at 3am and coming to an end many hours after the sun had risen, the set was a masterclass in tempering energy levels when tasked with an extended slot, starting slowly and building very gradually. 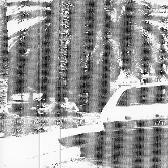 An early highlight came as Villalobos teased the opening synths to LFO’s self-titled 1991 track for what felt like an age, chopping it in occasionally with another early bleep classic in the form of Detromental’s ‘Rewind’, also originally released in 1991. The mixing and selections got more audacious as the set went on - at one point I’m sure I heard Villalobos pull off a very clever mix with two copies of the same record, while I was frequently left looking on in amazement at how he would pair other seemingly mismatched records with each other with such flair. Some hours into their set, as the sun rose behind the pair, Richards cunningly offset Villalobos’ more wonky selections with M Dubs’ UK garage remix of ‘Body Killin’’ by Vincent J. Alvis, a moment that felt like coming up for air and naturally drew a triumphant response from those in attendance. The Pavilion area started out very busy for their set but with the eight-hour set time, people eventually gave in to rolling in and out, allowing the area some breathing space, with Richards and Villalobos very much remaining in their element throughout, maintaining an engaged audience at the front until they eventually finished playing. The 24-hour license certainly wasn’t Houghton’s only fine point, but it was one of its most unique, allowing it to stand out from all other UK competitors. With dancers constantly rotating between the campsite and stages at all hours of the day and night, it seemed that people were grasping the extended partying hours with both hands too, and proved that there might just be an appetite for more 24-hour clubbing opportunities in the UK. Promoters The Hydra were granted a 24-hour license at their former Studio Spaces hub a few years ago but never used it and have now moved on to focusing on Sunday daytime sessions at London’s Ministry Of Sound for the rest of the year. Similarly, fabric only host one non-stop day and night party each year in October for their birthday. Increasingly, large promoters in London, such as The Hydra, are making a shift to hosting daytime events on Sundays, allowing audiences to catch world-class DJs in clubs and be in bed in time for work the next morning. I understand why this might be an attractive prospect to many, but there’s a niggling sense of conservatism about it all sitting at the back of my mind. Complicated licensing negotiations have of course played a large part in ensuring that UK cities don’t enjoy the extended nightlife hours afforded to many clubs in Berlin and Amsterdam, but perhaps, where possible, it might be interesting to start experimenting with more extended parties, taking Houghton’s lead. We might then start to see the four-hour sets that have become the club standard in Berlin make their way to these shores too. 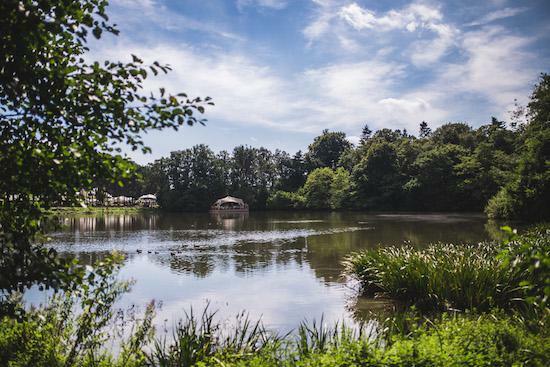 Alongside the 24-hour partying that the festival allowed for, Houghton’s setting was also key in creating the kind of utopian atmosphere that could be felt through the weekend with a number of excellently located stages, as well as plenty of room for wandering. 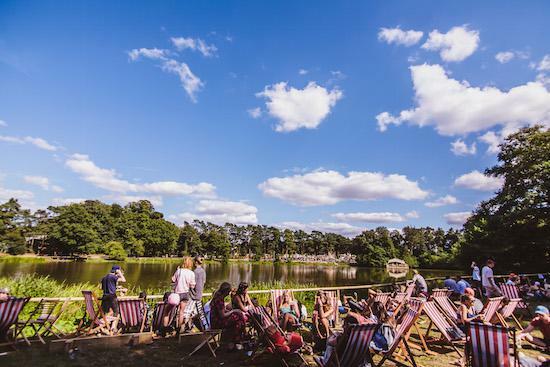 With a relatively limited capacity, the campsite was limited to one large field and easy to navigate if you found yourself wanting to get some rest back at your tent, while the main music arena was mostly populated around another field and the lake on Houghton Hall’s grounds. Dotted around the lake was a floating restaurant, a tent hosting workshops and life drawing classes and The Pavilion which consisted of a wooden stage sitting directly in front of the lake amongst the trees of the forest. The area hosted standout sets from Craig Richards and Ricardo Villalobos, Nicolas Lutz, Saoirse (whose sleek house and minimal-oriented selections were just the ticket to get people who might have already been feeling worse for wear going again on Saturday afternoon) and Convextion presenting a live set. The closing hours at the stage on Sunday night were handed over to Gerd Janson and Roman Flügel. Janson, the prime candidate for a final night party set drew for crowdpleasers across his three-hour set time, slotting in Bicep’s ‘Just’ as well as Pangaea’s recent festival-ready edit of Nomad classic ‘Devotion’ before closing on an edit of Underworld’s ‘Born Slippy’. With the sound dipping over at The Quarry, a hollowed out bowl which played host to Joy Orbison, Optimo, Andrew Weatherall and more, for Hunee’s closing set, The Pavilion felt like the right place to see the final night out with Flügel taking a more subtle approach than Janson before him, drawing on more hard-edged techno and jacking house before closing the festival with a remix of Arthur Russell’s ‘This Is How We Walk On The Moon’. Vladimir Ivkovic and Ivan Smagghe played for around five hours on Saturday night in a small dome, building gradually and making use of the confined surroundings and smaller crowd to go deeper, playing the kind of cosmic chuggers that they can frequently be heard drawing for together, bringing out increasingly outrageous dance moves from those gathered as the music grew weirder and more sleazy. Having spent most of the weekend happily moving around the stages in the main area though, it wasn’t until Sunday that I discovered what the ‘secret’ Terminus stage had to offer. Deliberately left off the site map, with hints left for people to reach the stage by catching a train somewhere on the site, the stage was hidden right near the main entrance to the site, and offered a nice midpoint between the Pavilion’s leafy surroundings and the Quarry’s swampy setting. 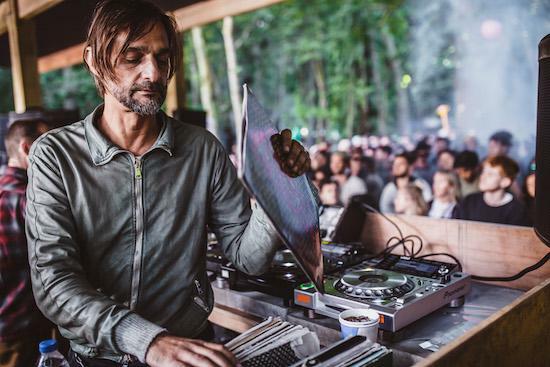 It was at the Terminus stage that Craig Richards played his final set of the weekend, alongside Nicolas Lutz, just five hours after finishing up his eight-hour set with Ricardo Villalobos. The hours he’d already clocked up on the decks by this point still didn’t seem to have got to him though as the pair, by now seasoned back-to-back partners, swapped records for four hours, bringing it home with the groove-laden Underground Resistance-released ‘Black Moon Rising’ from Scan-7 amongst other dazzling cuts. The Quarry, while perhaps the most obvious setting for most of the festival’s headline bookings, unfortunately couldn’t handle the demand at peak times with sizeable queues forming each night to catch the likes of Move D, Joy Orbison, Andrew Weatherall and Optimo, and The Warehouse lacked character in comparison to most of the other stages. These are very minor niggles in what was an outstanding first year from Houghton though, with the festival clearly putting a great deal of thought into how to use the location to its fullest potential, even offering revellers sculpture tours of the festival’s grounds. East London bar Brilliant Corners popped up at Baldock’s Farr Festival earlier this summer with a yurt complete with an audiophile soundsystem supplied by The Analogue Foundation, mimicking the spotless system that could be found at the bar itself. Hosting scheduled and secret sets across the weekend, many of those at the festival reported back that it was one of the finest points of the weekend this year. The same could be said for Brilliant Corners’ display at Houghton, once again setting up shop in a sizeable, yet intimate yurt for the weekend, speaker stacks set up around the dome to envelope everyone inside with one of the crispest audio experiences they’ll doubtless ever experience at a festival. Hosting second, more intimate sets from the likes of Hunee and Floating Points, it was a popular attraction with revellers invited to enter the tent via a small opening that required most to bow down to get inside, entering under a lit-up sign just outside reading ‘GIANT STEPS’, a reference to the John Coltrane album of the same name. A vintage Technics unit and rotary mixer were set up for each DJ to play on inside with the system and set-up encouraging each DJ to dig deep and draw for the kind of music that would sound best in such a surrounding. 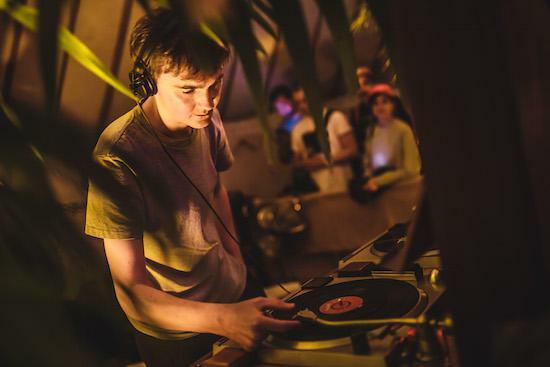 Playing some hours before his closing set at The Quarry on Friday night, Ben UFO made full use of his 90-minute set time starting out slow with balearic ballads such as Blue Gas’ ‘Shadows From Nowhere’ before winding up at frenetic jazz numbers in the form of Jackie McLean and Michael Carvin’s ‘De I Conahlee Ah’ via sultry reggae and dub such as Ghost’s ‘Come Back Again’. The tent erupted with every new selection, the intensity ramping up ever further as he further tested the system with Exemen’s screwface-inducing ‘Far East’ followed by a volley of jungle including Fracture & Neptune’s ‘Colemanism’. Fully spent, I wandered out of the tent in an attempt to recollect my head a few minutes before the set’s end safe in the knowledge that I’d already witnessed one of the weekend’s undoubted highlights in a truly special setting.